We could say that objects are essential elements in the process of art creation, right? Maybe we could exclude performance art or a number of artworks coming from conceptual art movement. Still, even in these movements objects are being examined through different radical practices of de-objectification of art. In addition, when we say objects as elements in the process of art creation, it also includes objects that are being used in creating an artwork – brush, spray can, cutting edge and so on. But, in this article we want to focus on those art practices that investigate meanings of objects by exposing their multiple fractures in our cognitive relationship to them. 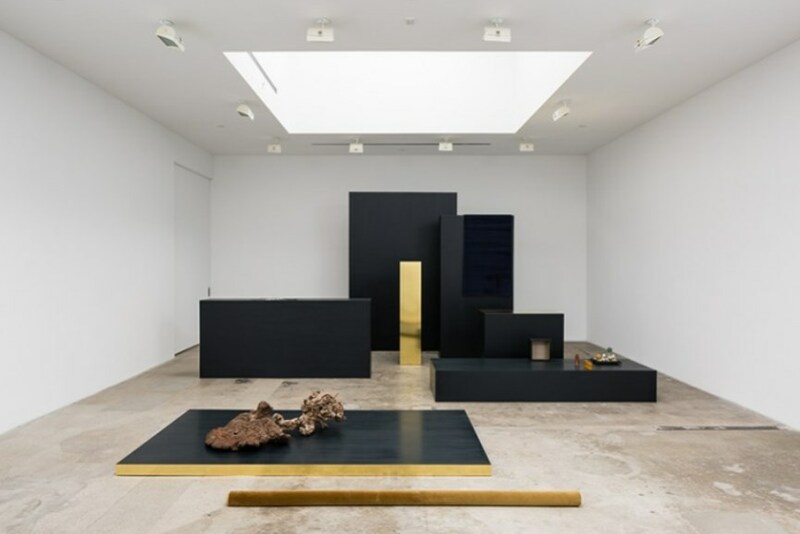 Maybe there is no better example of such practices but the one conducted by Isabelle Cornaro, a brilliant French artist whose exhibition is currently on view at Hannah Hoffman Gallery in Los Angeles. Isabelle Cornaro is a French artist who lives and works in Paris and Geneva. 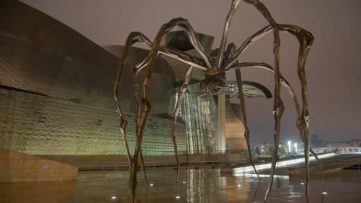 She has been exhibited globally, including some of the best-known art spaces in the world. 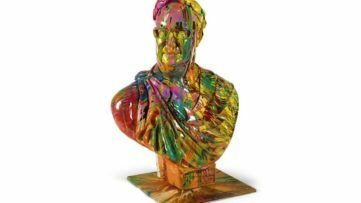 This amazing artist creates in a variety of different media – painting, sculpture, installation, and film. Cornaro brilliantly uses objects by employing strategies of translation, abstraction, and composition to generate formal and conceptual contradictions reactivating a viewer’s sense of perception. 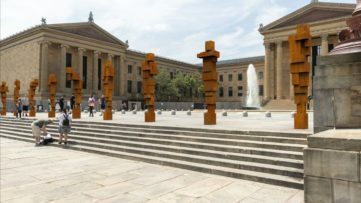 Many artists (particularly conceptual artists) use words, for example, in order to extend their meanings and transform them into symbols of multiple meanings. But, in Cornaro’s art, the anthropomorphic convenes with the abstruse pinpointing the way meaning is formed through objects and how objects become extensions of self as symbols of class and taste. A perfect example of her art can be seen in the ongoing exhibition at Hannah Hoffman Gallery. At the focal point of the exhibition, Cornaro has installed a large-scale composition of stands and display elements, interspersed with an array of found objects and rolls of velvet fabric. Reminiscent of a classical landscape painting translated into volumes, planes, and perspective markers, the work reveals itself as a static “tableau,” an abstraction of reality, which fragments away as the viewer’s movements through the installation break the spatial organization. 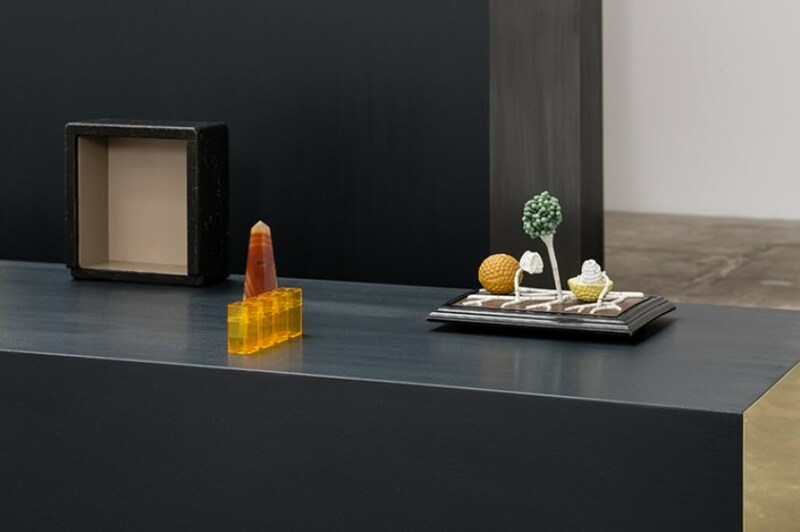 The objects within the installation are either ornamental or symbolic, eliciting a narrative of fetishism and exchanging value that reverberates throughout all the works in the exhibition. Not many artists “play” with visual perception of a viewer by placing “meaningful” objects into coherent compositions (maybe we could mention the practice by El Anatsui or Lucien Shapiro). So, what else the visitors of this amazing exhibition can see? Adjacent to the installation that we already mentioned are examples from a series of solid rubber wall-based castings that recall the chaotic structures of 16th and 17th century Mannerist grotto design. 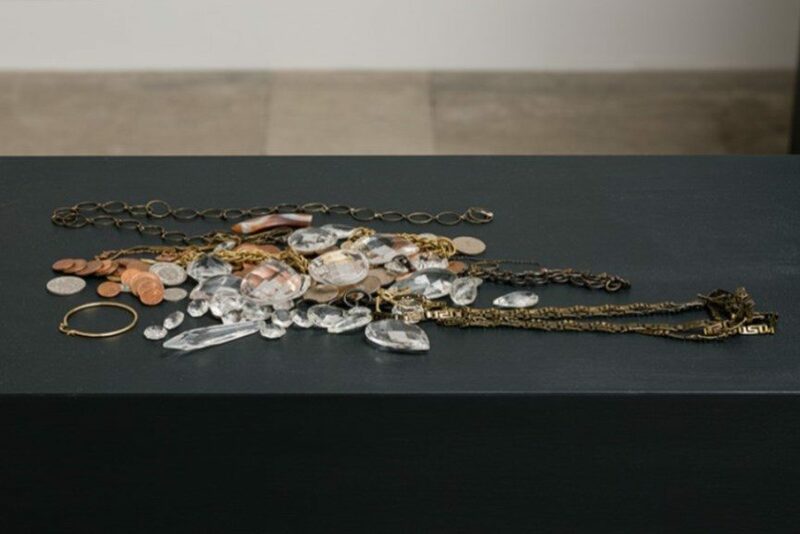 The work presents the homogenized mechanical reproduction of individual objects: rope, jewelry, fabric, currency, stone, and chains, each of which maintains its original formal texture amidst its loss of functional status. The work is rendered through a single casting process during which color is added when the material is still fluid. The title, Orgon Doors, refers both to an open textual description from Edward Kienholz’s Concept Tableau series (The God Box) which Cornaro has come to realize in several iterations, and Wilhelm Reich’s concept of Orgon energy source. Finally, there will also be a separate group of works, designated by the artist as “drawings,” that features bands of human hair intertwined around thin strips of painted wood board, which organization stems from the tradition of landscape composition. In this construct, our experience of the material changes as its formal fragility finds a dependency upon the geometric composition that supports it. This is the artist’s second exhibition with the Hannah Hoffman Gallery. 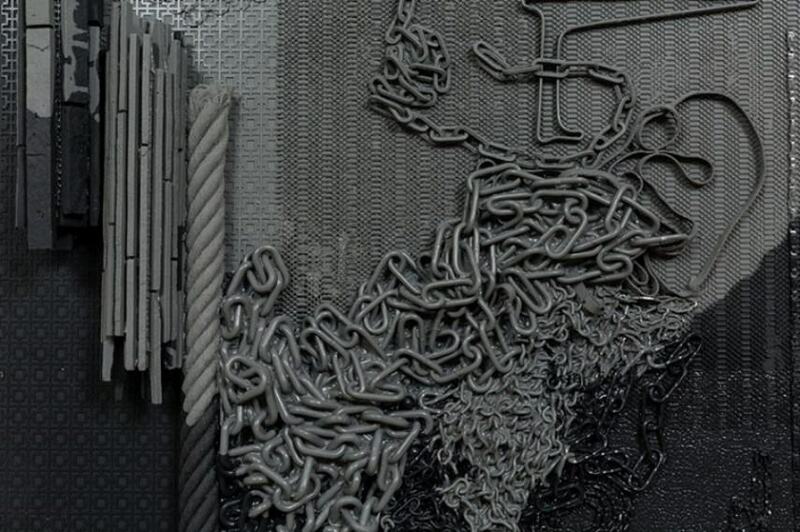 The visitors have an opportunity to see the latest body of work by Isabelle Cornaro, a truly amazing artist whose art moves the boundaries of our understandings of objects in contemporary art. Conceptually brilliant, her works are aesthetically stunning as well. So, be sure not to miss her exhibition. 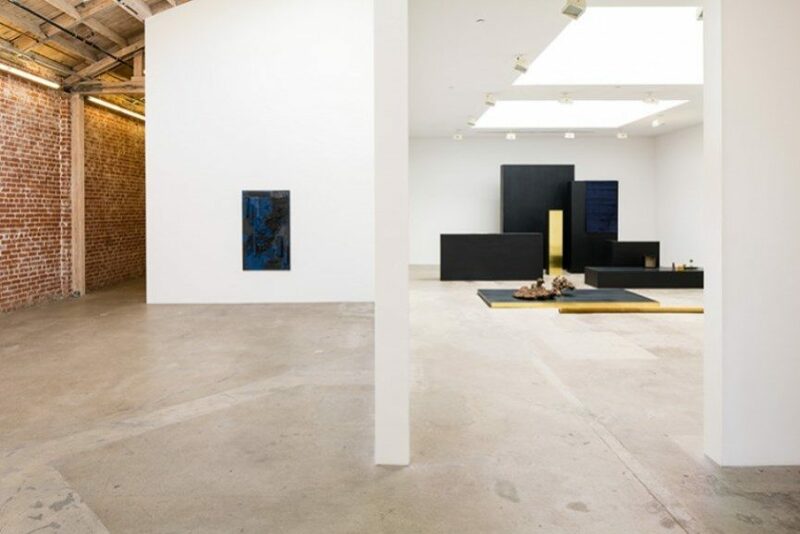 The show opened on January 26 and will be on view until March 29, 2016 at Hannah Hoffman Gallery in Los Angeles. 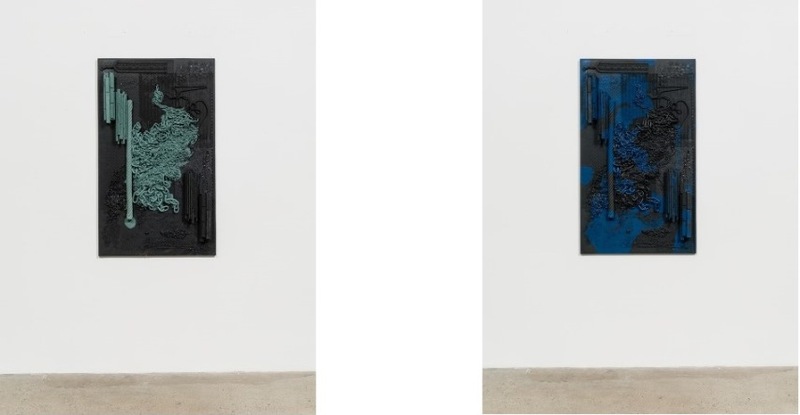 Featured Images: Isabelle Cornaro Exhbition at Hannah Hoffman Gallery. All Images courtesy of Hannah Hoffman Gallery.